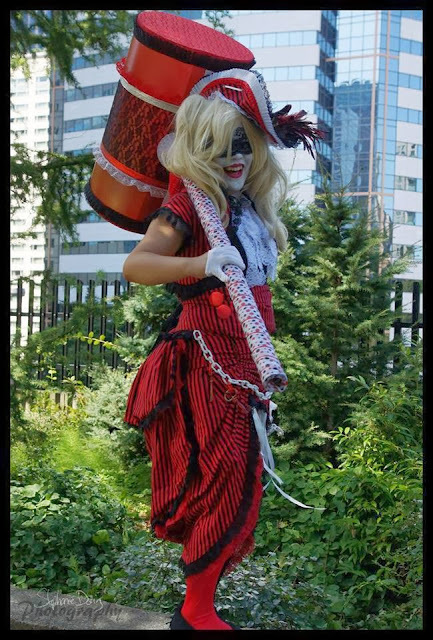 I wanted to dress up as Harley Quinn, but my friends wanted to dress up from Assassin's Creed IV. So I decided to do a Pirate Harley Quinn to walk around with my pirate friends. It looks splotchy, but that doesn't bother me. Got a long cardboard tube (pvc pipes will work as well) and wrapped a decorative ribbon around it. Covered the drum of the barrels with more lace.